This record was apparently organized by Harry Williamson to help raise money for nuclear disarmament. I'm not sure how successful it was, but I do know it featured members of The Police (although I'm not sure how flexible Sting was when he made this record), Hawkwind, Arzachel, and Gong. It is unfortunately not nearly as good as any of those bands, but that isn't to say I don't enjoy it. 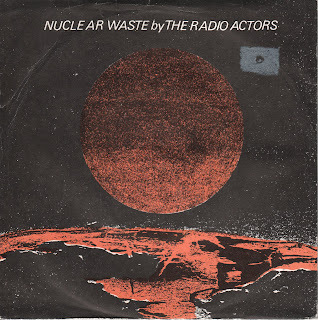 Ladies and gentlemen, for your listening pleasure, The Radio Actors.